Imagine a grand pool, filled to the brim with sparkling water, overlooking rolling hillsides and an ocean glazed with the sun’s beams. Now imagine that glorious pool empty and cracked, completely dry to the touch. This barren scene is an apt depiction of the outdoor Neptune Pool which sits on the northwest end of Hearst Castle in San Simeon, California. The pool has been dry since 2014 when it was drained due to substantial leaks. But this summer, following the conclusion of the extensive repairs that were initiated in 2017, the pool will be filled once again. 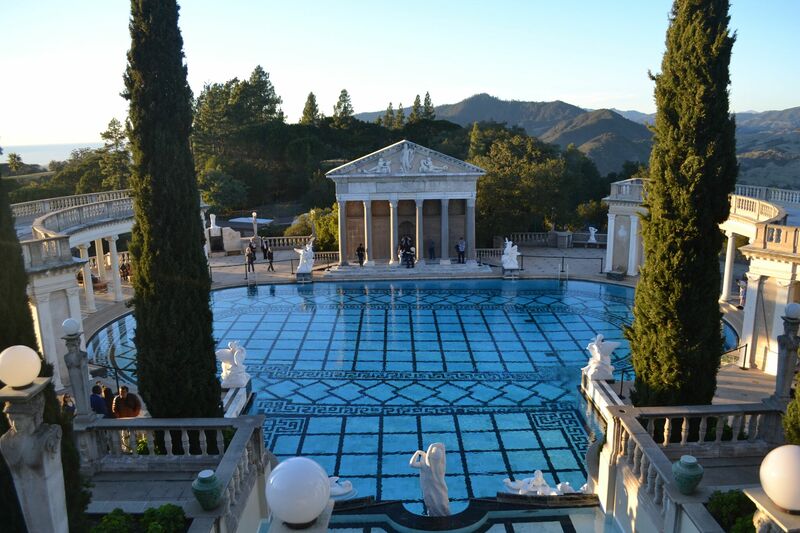 According to Dan Falat, the superintendent of the state park district that includes Hearst Castle, the contractors are still on track for a summer unveiling of the pool so long as unforeseen issues do not arise. The pool was test-filled once last year to check the new construction and additional fixes ensued. Meanwhile, a separate temporary re-filling in 2014 served a vastly different purpose than a structural check. Pop-star Lady Gaga filmed bits and pieces of a video shoot at the castle when the pool was refilled. Commercial shoots are routinely turned down on Hearst Ranch property, but the famed songstress donated a quarter-million dollars to the Hearst foundation and recorded a water conservation public service announcement for them as well. The gargantuan work of aquatic art has reportedly been one of the most photographed pools in the world since its original construction in 1924. Dotted with pristine winged statues and elegant pedestals standing watch, the pool’s captivating nature offers a uniquely serene and stately setting that continues to awe its visitors to this day.